Yesterday morning, the nominations for the 87th annual Academy Awards were announced. While some films secured their sure nominations, there were also many surprises. 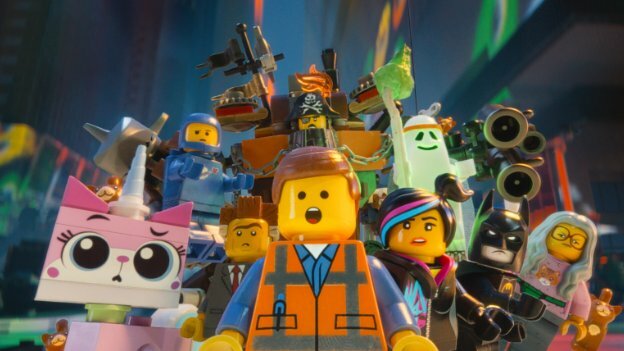 Above: “The Lego Movie” characters are just as surprised about their lack of nomination as we are. Stock Photo. Everything was awesome about this movie! Literally everything. Ironically, “Everything Was Awesome” was the only part of this movie that actually got nominated. One of this year’s favorite animated films – if not the favorite – among viewers, this film was almost guaranteed a nomination. Many people thought this movie would be overused product placement/advertisement for Lego, but it turned out to be one of the most charming films and funny for both children adults. Taken on by “21 Jump Street” writer-directors Phil Lord and Christopher Miller, this film had an all-star voice cast, including Morgan Freeman in his first ever voiceover role. The movie also had a great twist at the end that could make viewers and voters behind it even more with its live action portion. It’s a shame this movie wasn’t nominated, but could get future nominations with a spin-off coming out in 2017 and a sequel coming out in 2018. 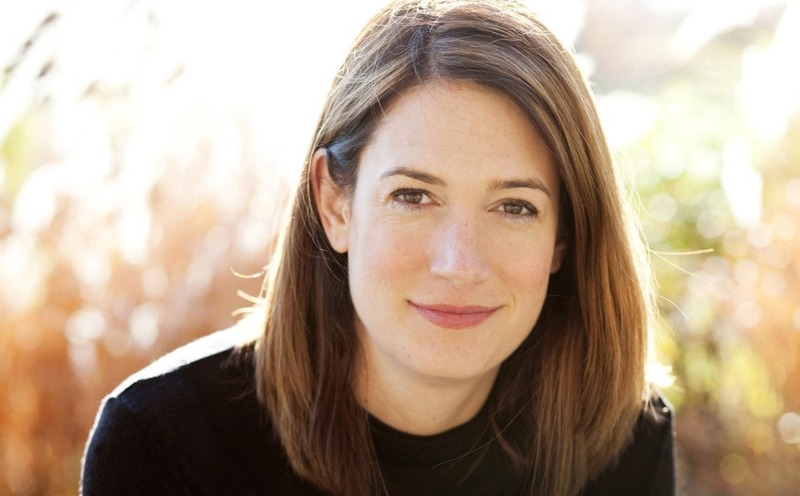 Above: “Gone Girl” author and screenwriter Gillian Flynn. Stock Photo. Possibly this year’s most twisted films, the adaption of “Gone Girl” was another sure one to get several nominations, yet somehow fell short at the announcements. One of the most shocking was the exclusion of Gillian Flynn, the author of the novel who also wrote the screenplay. After getting nominated for Best Screenplay at the Golden Globes, many thought it was likely that she would be nominated in the Best Adapted Screenplay category here, however she was not. This category was filled with many screenplays that were also sure nominations, but the addition of “Inherent Vice” is probably what gave the “Gone Girl” the boot. Also a big surprise was the omission of “Gone Girl” from the Best Picture category. This could have been because the nominees were shortened from 10 films to 8 or because of the great triumph of “American Sniper,” but apparently the Academy did not think Amy was as amazing as everyone thought her to be. Above: Laura Dern as Bobbi in the film “Wild.” Stock Photo. One of the most exciting nomination twists was Laura Dern, who finally emerged victorious in the awards season nominations. Playing the cancer-stricken mother of Reese Witherspoon in “Wild,” Dern brought lightness to the film that no one else in the cast did. Dern can be deemed as “Mother of the Year” in 2014 between her roles in “Wild” and “The Fault in Our Stars.” While some would argue that her role as the quirky, yet fun mother of a cancer-stricken teen was better than the role as the cancer-stricken mother, it is exciting to see her nominated nonetheless. This is also Dern’s first Oscar nomination since 1992 and re-cements her as an actress to be reckoned with. 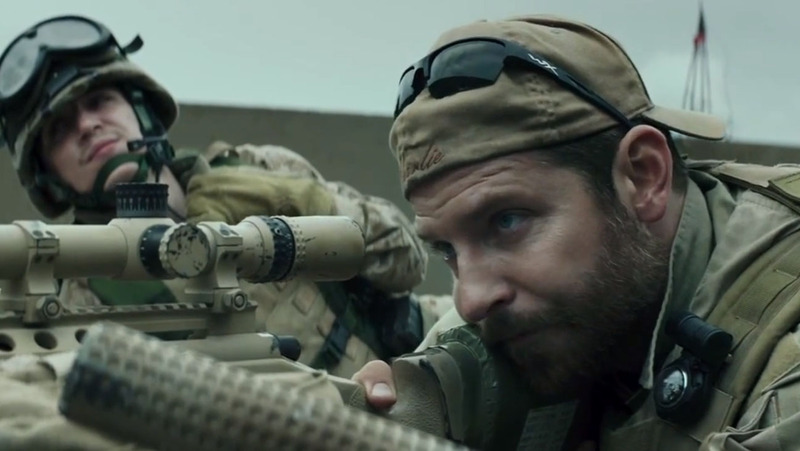 Above: Bradley Cooper stars as Chris Kyle in “American Sniper.” Stock Photo. This film seemingly came out of nowhere. Not even in theaters yet, “American Sniper” was not nominated for either the Golden Globes or the Screen Actors Guild awards, yet took over Oscar nominations. Along with Best Picture and Best Actor (Bradley Cooper) nominations, the film also garnered four other nominations. However, the most notable nomination that was left out for this film was Clint Eastwood for Best Director. That category had a lot of competition, but many thought one of Hollywood’s most respected directors would still rise above for the nomination. 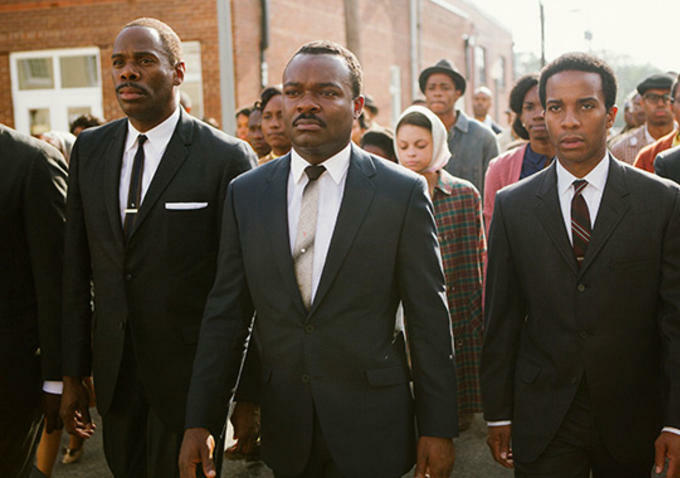 Above: David Oyelowo was surprisingly not nominated for playing Civil Rights Activist Martin Luther King, Jr. in “Selma.” Stock Photo. These two surprise nominations took out David Oyelowo for his portrayal of Martin Luther King, Jr. in “Selma” and Jake Gyllenhaal for his role of Lou Bloom in “Nightcrawler.” It is surprising that Oyelowo was passed up because he was playing a real-life person who had an affect on thousands. Gyllenhaal was getting praise saying that this was the best role he had ever played and underwent a physical transformation by slimming down for the film, which the Academy always loves. Above: “Two Days One Night” star Marion Cotillard took everyone by surprise by taking the fifth nomination for Best Actress. Stock Photo. Adams is sure to get another nomination in the future based off of her track record. Meanwhile, “Cake” proved again that Aniston is more than a romantic-comedy typecast actress. Because of this year’s nominations, all 20 acting nominations were taking by white people leaving all ethnicity out of the picture, except for the occasional British actor and one French actress. The nominations are still as interesting as ever and all will be determined Feb. 22 on ABC.